The research landscape can change rapidly. Your project might start out heading in one direction, but eventually shift into another realm altogether. Because of this, some folks often blog about their project research as they go, granting a level of transparency to their work, as well as inviting other professional input that may help you see things you might otherwise have overlooked or misconsidered. Plus, regularly updating your research using WordPress can keep your students engaged not only during the semesters they attend your class, but also long afterward because they have become invested in the project. Or they might get an interest to become your research assistant. At the very least, they will get a real-world look at what scholarly research looks like up-close, which as we all know is starkly different from the classroom setting they are used to. On this page, you will only link to the final draft that you want indexed on Google Scholar. This is not a place where you keep archives of any early drafts or notes leading up to the end result. That sort of thing should be published using normal blog posts. You can also publish the entire article in HTML, too. That just means you will add a new blog post or (preferably a page in WordPress with the full text of the final draft to be want indexed. 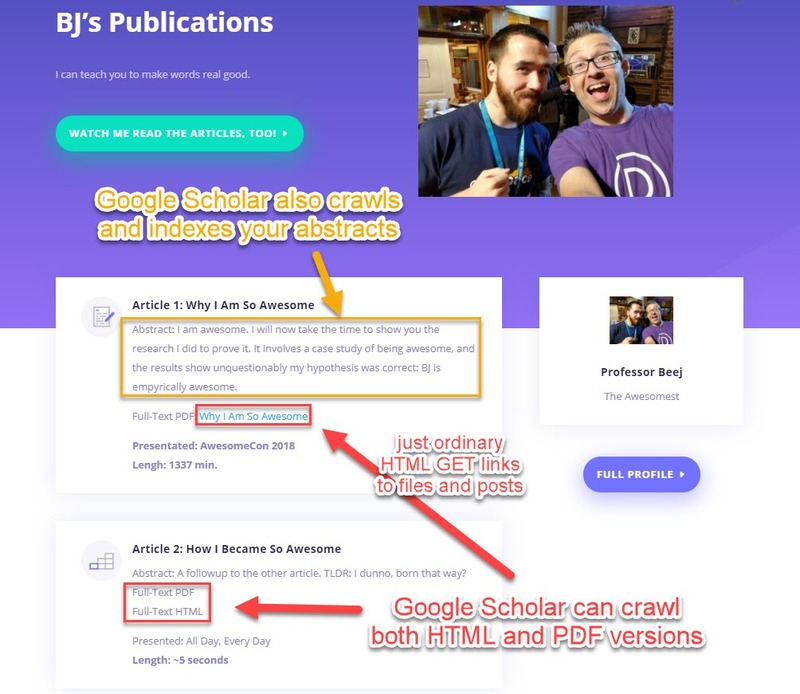 Then, you can design your site to look however you want, but as long as you have those PDF permalinks on your Publications page, Google Scholar will eventually make its way there. Styling isn’t necessarily important, and you could leave it a simple, bulleted list. However, if you want your to be taken seriously, make your page look professional. It’s not complicated, actually. You just tell them it’s a Personal Publication because you’re not representing a journal or database, and then fill out the form based on what we did above. 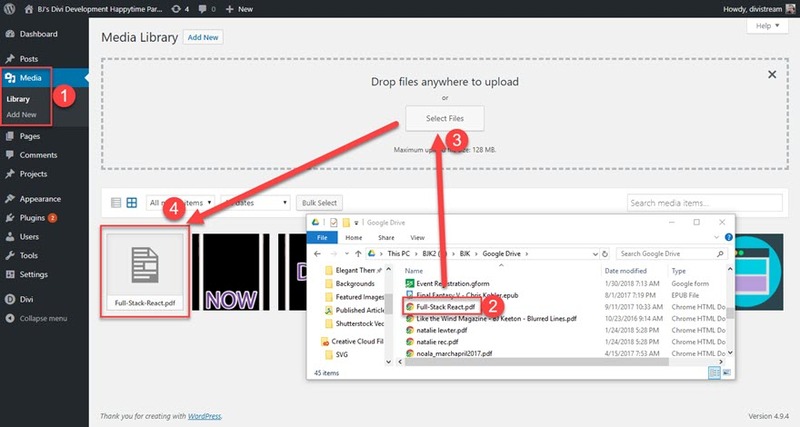 You make sure that you have different URLs for each article, a publications page (they call this the browse interface), and on down the list. I do want to note that when they ask for article examples, these are for the final, published versions, not the Publications page, or even an abstract page, if that leads into the final article. 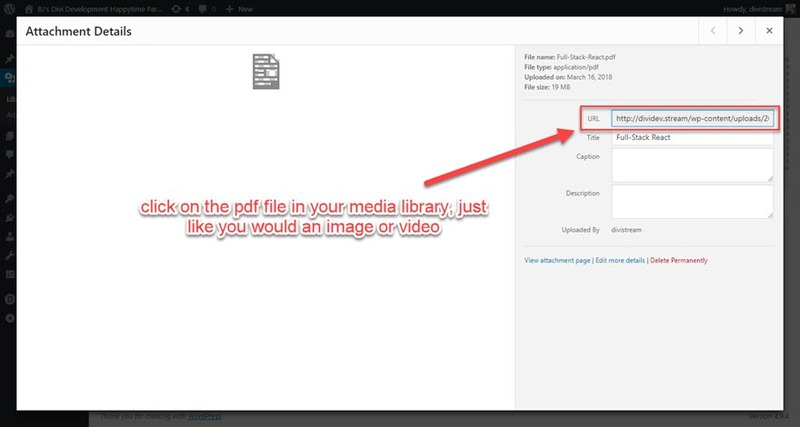 The example URLs they provide are for the PDF’s permalink. The direct link to the full-text HTML version should work as well, but why tempt fate? 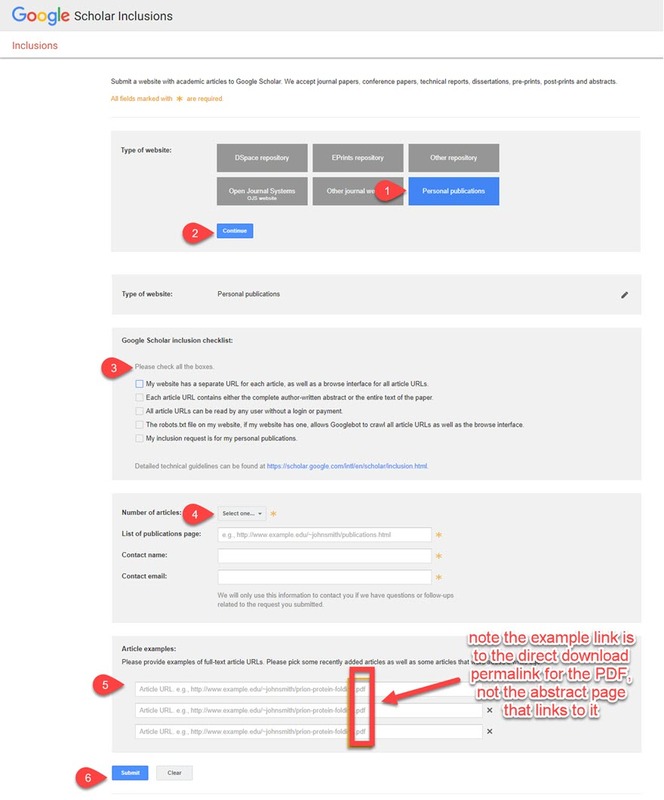 The post How to Get Indexed by Google Scholar Using WordPress appeared first on Elegant Themes Blog.